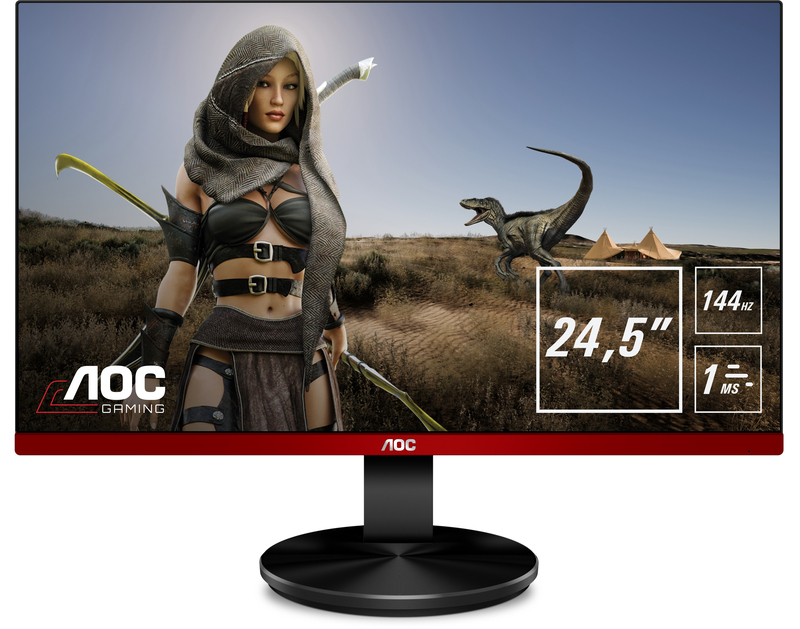 AOC has announced a new addition to its G90-series of inexpensive gaming monitors with a new model with FreeSync capabilities and a high refresh rate. 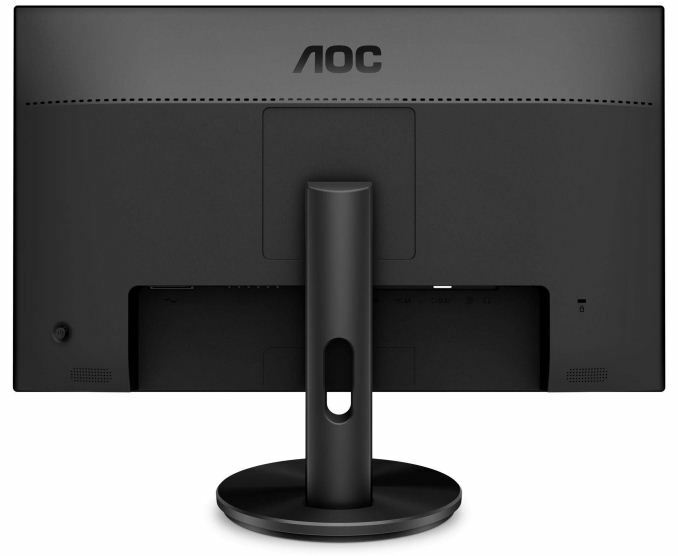 The new AOC G2590FX has similar key characteristics as other displays in the lineup, but saves some money by removing USB features and uses a different stand setup. 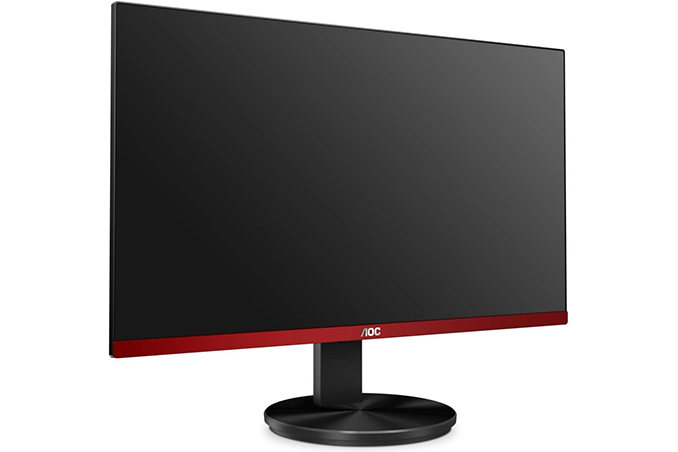 The AOC G2590FX is the fourth SKU in the G90 lineup that is positioned slightly below the G2590PX, but above the entry-level G2590VXQ. The new display is based on a 24.5-inch TN panel with a Full HD resolution, 400 nits brightness, 1000:1 contrast ratio, 1 ms GtG response time, and 170°/160° horizontal/vertical viewing angles. The new monitor supports AMD’s FreeSync dynamic refresh rate technology with a 30-144 Hz range as well as low framerate compensation (LFC). In addition, it comes with various AOC enhancements for gaming monitors, including AOC’s low input lag feature as well as Shadow Control capability to make dark scenes brighter. The new unit has the same style as the rest LCDs in the G90 family: it features thin bezels and “gaming red” inlays. There are a number of important differences between the AOC G2590FX and the more expensive G2590PX monitor. Firstly, the new product is not equipped with a USB 3.0 hub; secondly, it does not have an MHL input; thirdly, it does not come with built-in speakers; fourthly, it uses a slightly different stand. The AOC G2590FX display will cost approximately £30/€35 lower than the AOC G2590PX, which is not a significant difference. Whether or not it makes sense to buy the cheaper version without a USB hub and a stand without height adjustment is up to end-users to decide. Meanwhile, it is clear that AOC is trying to expand its gaming lineup as significantly as possible in order to better compete against all rivals. A question to anyone reading, if I setup a two wide by two high (or 3x2) array of these monitors (those bezels are nicely thin) and I had the top row inverted so that the thinnest parts of the bezels were meeting in the middle would (because these are freesync) the radeon software allow for the desktop to be inverted on the top row? If I wanted to implement a 3x2 array I would need two GPUs to make up the requisite number of outputs, does the radeon software support a single desktop over two GPUs? Gaming over two GPUs on a multiple monitor setup? Not speaking from experience, but GPU drivers (including AMD) have rotate screen functions (all four 90° settings being available) so that should work.